Preventing social exclusion is one of the priorities indicated in the Latvian and Lithuanian medium-term development programs. The common challenge of cooperation is to build new social and social rehabilitation services, to promote synergies of social services with other services – health care, employment, thus supporting the deinstitutionalization process. The objective of the project is to develop and improve social infrastructure, to improve rehabilitation services and other services which promote social inclusion. During the course of the project new social service “Moment of Respite” will be created in Dobele County municipality. It will provide babysitting service and physiotherapy service for families having children with special needs. Premises of the centre will be repaired and equipped; environmental accessibility will be ensured; all projects partners will also get training on the provision of such services in their communities. Also, to diversify social inclusion measures a number of facilities used for social rehabilitation will be improved and equipped: Physiotherapy service in Dobele County Municipality Social Care Centre, sensory rooms in Kedainiai social care home and VSIA Slimnica Gintermuiza, “Garden of sensation” in VSIA Slimnica Gintermuiza, Japanese style garden for therapeutic and educational activities in Klaipeda Pedagogical Psychological Service. Several trainings for employees on providing services will be carried out: 1) workshop for 5 Dobele municipality employees on carrying out service “Moment of Respite” and physiotherapy service, 2) 2 five-hour workshops for 5 employees of VISA Slimnica Gintermuiza and Kedainiai Social Care home on providing service “Sensory room” as well as partner trainings for staff of other partner organisations. It is planned that 5-day camp in Akmene, LT for children with special needs and their relatives/assistants will conclude with a concert. Exhibition of works in Akmene Culture Centre will be organized, where participants of camp will take part by showing what they have learned during camp. The camp will be organized in cooperation with the Music School of Naujoji Akmene for disabled children and young people from Lithuania and Latvia “Growing with heart”. The main activities of the camp will involve therapy activities using music instruments and other artistic techniques. The short film on camp, concert and exhibition will be made in order to raise awareness of people with disabilities between us. It is planned to show the film on large screens in urban environment where it is possible as well as show it in public transport. 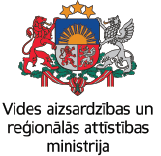 Also, it is planned to raise awareness of the inhabitants about the accessibility of social services in Latvia and Lithuania with promotional materials such as leaflets, informative posters, film on camp for children with special needs, and digital activities – information on partner websites and twitter and fb accounts. It is expected, that the benefits of the project will be used by more than 4200 persons – patients and clients of Partner organisations as well as their families in Klaipeda, Kedainiai, Akmene, Jelgava and Dobele.